Science is essentially at standstill. 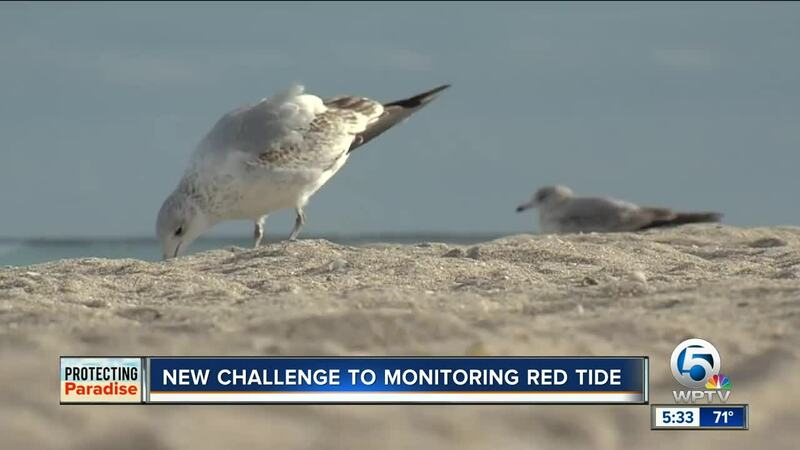 As red tide returns to the West Coast of Florida, efforts to track it and study it have become more difficult. MARTIN COUNTY, Fla. — Tourism and businesses in Florida depend on clean water, but with Red Tide making a comeback on the West Coast, concern in growing here. The partial government shutdown is also making it more challenging to protect our paradise. As the waves crashed ashore at Bathtub Beach Friday, fears still linger for businesses whose livelihoods depend on clean water. "You can tell instantly the difference when the water is bad and when the red tide is here, we're dead," said Jordan Schwartz, owner of Ohana Surf Shop in Martin County. Schwartz's business took a beating last Fall when beaches had to close up and down the Treasure Coast due to red tide. 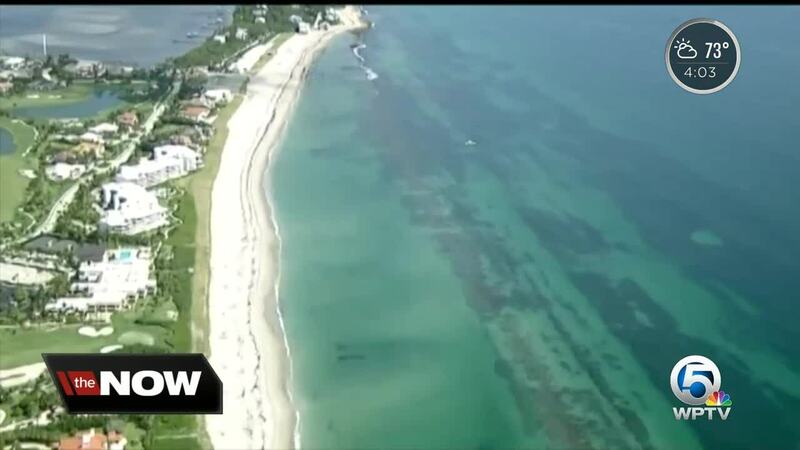 "We are concerned that the red tide is going to come back," Schwartz said. Those concerns are now growing worse with the partial government shutdown impacting agencies like NOAA, NASA, and the EPA. "They're essentially closed, which means they don't give out any new money, they don't accept any new research proposals and essentially science is at a standstill," said Jim Sullivan, executive director at Harbor Branch Oceanographic Institute. FWC is a state agency that tracks Red Tide in Florida and remains unaffected. NOAA is also still providing condition reports on its website, which show red tide has returned to the West Coast. But since federal funding is not flowing, Sullivan says that will impact two upcoming proposals to study and monitor harmful algal blooms. "Right now with the current government shutdown we don't know when the government is going to open up to accept these proposals, so they're going to be significantly delayed," said Sullivan, who added one proposal is due in late January and the other in early February. We already know tourism has taken a hit because of the water, now businesses like Ohana are hoping partisan politics doesn't hurt its bottom line. "We need that research, we need that funding from the government to make this happen," Schwartz said. Sullivan predicts if the shutdown continues much longer, the repercussions could be severe.